“Christmas Candy Ornaments” by Bonnie Olaveson of Cotton Way can be made with Moda Candy packs. You might have noticed the amazing new Moda Christmas collections are readily available now in your favorite shops…just in time for Christmas sewing in July! Planning and sewing Christmas projects during the summer months makes good sense: not only will you have plenty of time to plan and complete Christmas sewing, but you also won’t have trouble finding your favorite pieces from these brand new Christmas collections. It’s always good to plan and shop early for the best selection, and now is that time for Christmas and holiday project sewing. Be sure to plan now for border, backing and binding purchases for these projects, too. It’s often harder to find yardage of the most popular Christmas fabrics as it gets closer to the actual holiday. “25th & Pine” by Basic Grey, “Solstice” by Kate Spain, and “Winterlude” by 3 Sisters are all available now in pre-cuts and yardage. Not only is now the perfect time to shop for the latest in Christmas fabrics, but most importantly it’s time to decide what to make with them! Don’t get caught waiting until fall to begin: by then you might not have enough time to complete all of your wonderful ideas. Go through your Christmas patterns, and also remember the Moda Bakeshop often features projects with the new Christmas fabrics during the summer months; be sure to look there for pattern ideas and inspiration. Keeping an on-going project list whether on paper or on your Pinterest board can be a great help, too. Now is the perfect time to double check those lists and make a plan to start sewing. Summer is also the perfect time to finish up unfinished Christmas projects from previous years. Really, the possibilities are endless. Anything you make with non-seasonal fabrics can be spectacular in Christmas designs. If you have a favorite “go to” pattern be sure to put one together in your favorite Christmas fabrics, too. Shops often start displaying their new Christmas ideas and decor during the summer, as well–so be sure to visit your favorite shops for the latest in Christmas sewing inspiration. 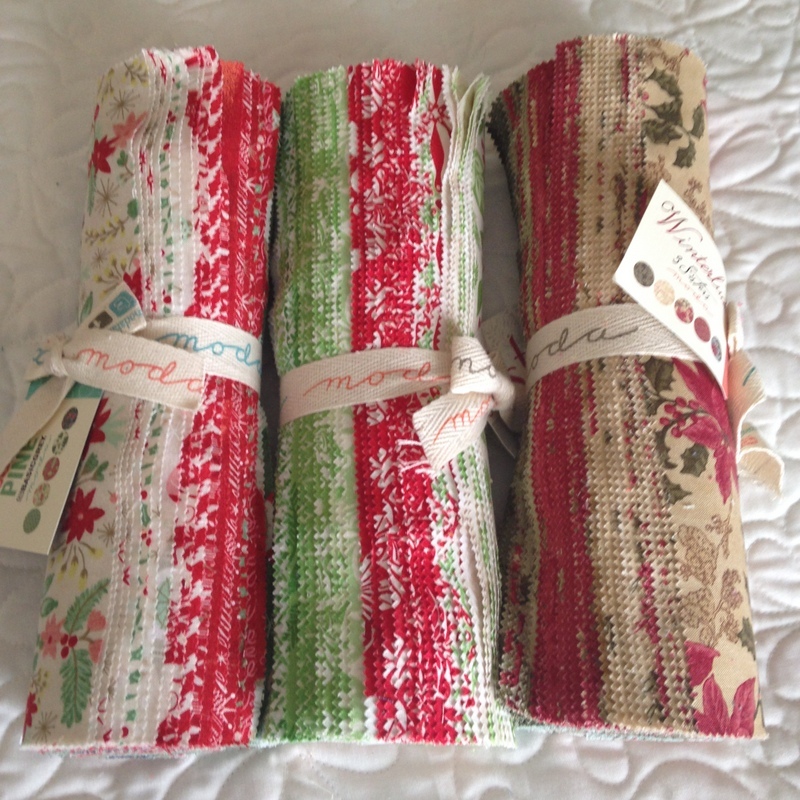 Christmas table runners are the perfect quick and easy gift. 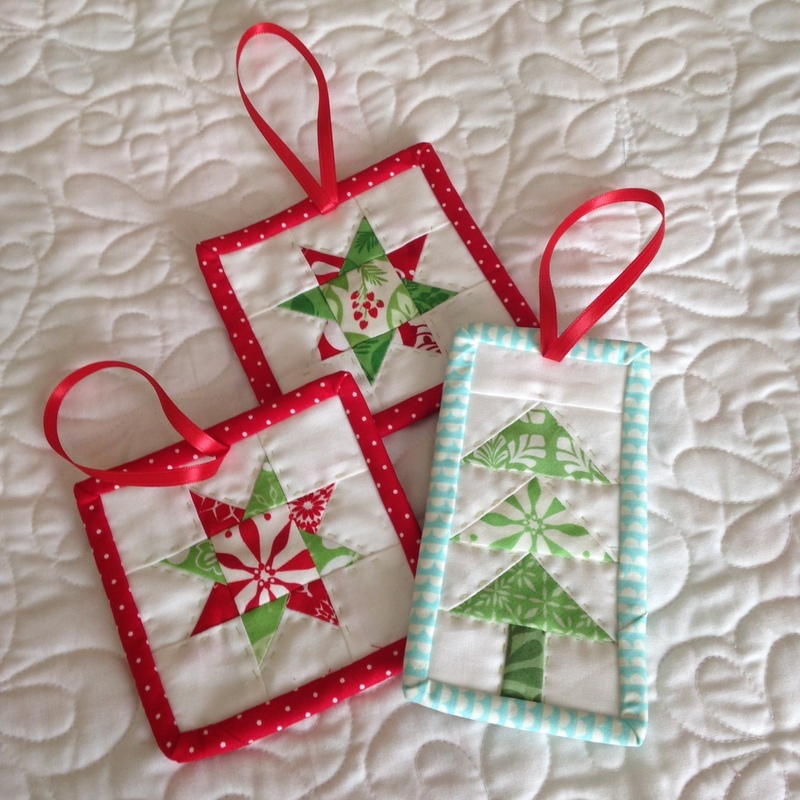 Make practice blocks for all of your quilts and projects year round from your favorite Christmas fabrics. 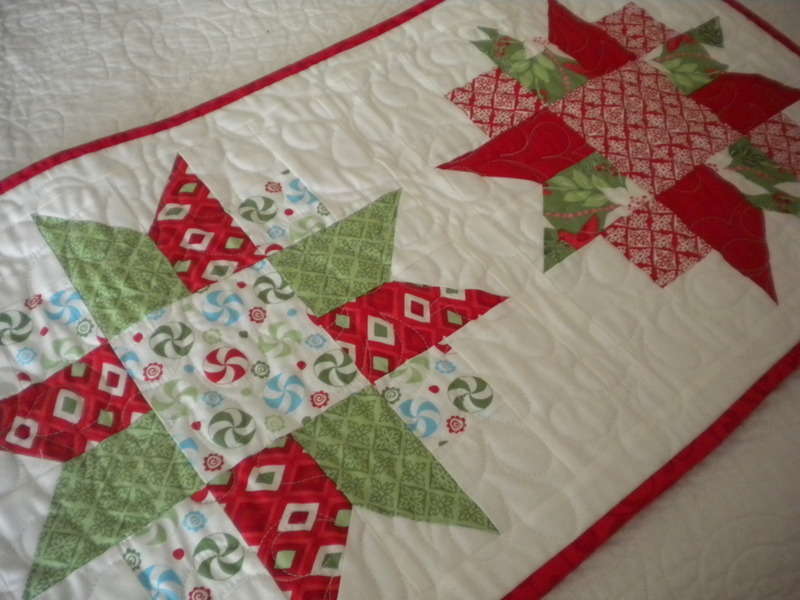 Then you can assemble them into Christmas Sampler quilts when you have enough blocks. Try to spend at least one day a month working on Christmas projects. Keep finished projects in one place so you have easy access to them in the fall. Keep a list of ideas for Christmas gifts you want to make using non-Christmas fabrics; summer is a good time to work on these projects as well. 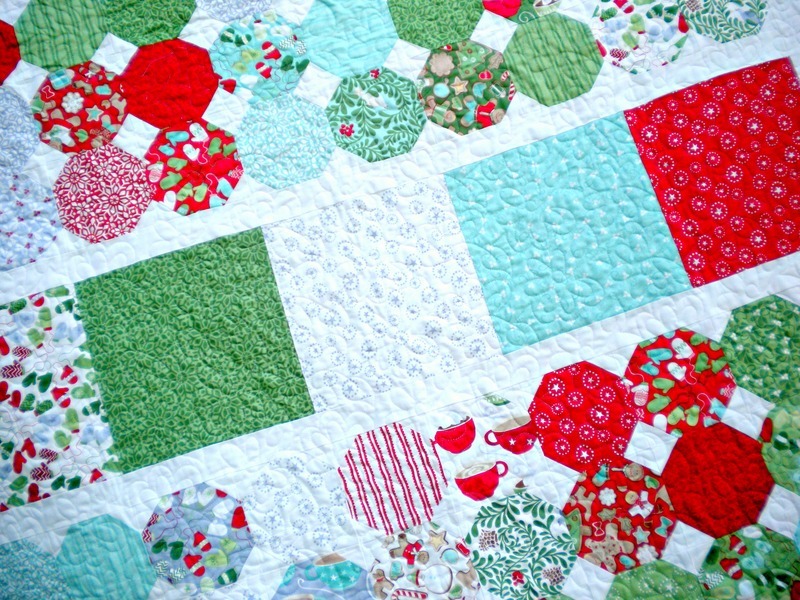 Do you have any tips or ideas to share for Christmas in July Quilting and Sewing? Previous Previous post: Quilting: It Really IS Good for You! Are there patterns for the featured items? Do you know of any places to get patterns for Hanukkah? There are some paper piecing patterns on Carol Doak & Quilt Pro software. I love their easy to use program because you can instantly re-size any block to any dimension. Great ideas Sherrie! Love it. Thanks for finding that link, Lori! Happy Quilting…. Off topic here but I’ve noticed your (moda) free patterns are being listed on ebay for sale. Seems like there are often patterns that are free on blogs and then someone decides to print them and sell them profit. I tried to find some contact info for Moda before on the blog but it’s impossible to find contact info. At any rate…. searching Circa 1934 Moda Quilt Sewing Pattern you’ll find your free item for sale. I’ve seen several others too. Ones for max and whiskers fabric too.